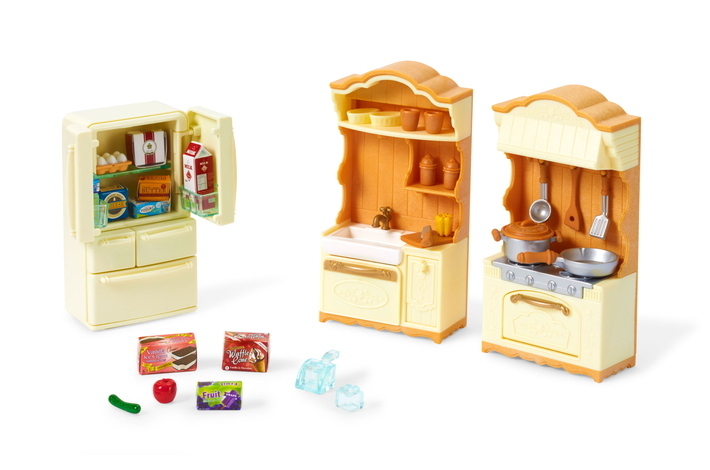 Kitchen Play Set includes a double-door, three-drawer refrigerator, cooker unit and sink unit. Includes cooking utensils, ingredients, and other small accessories. 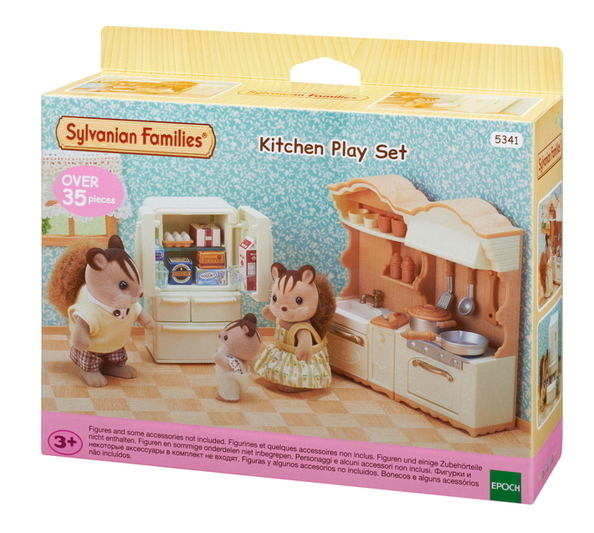 Kitchen Play Set features cooking utensils that can be stored in the kitchen cabinet and drawers. The refrigerator contains a freezer compartment, from which ice can be taken out using the provided scoop. 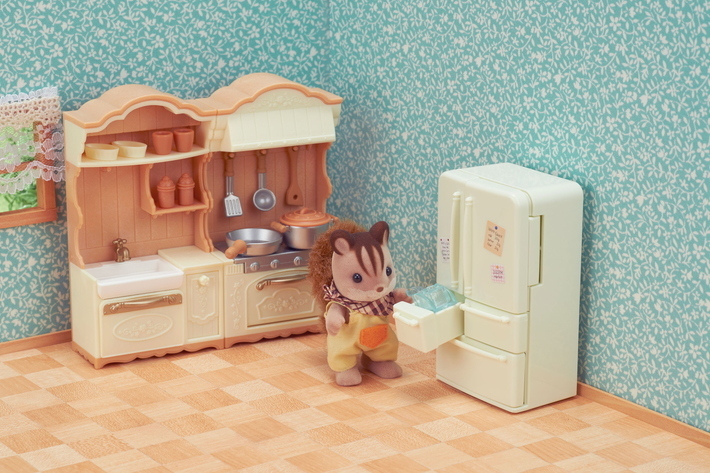 Create a spacious, fully-equipped kitchen scene by combining with Red Roof Country Home and other figures (sold separately). 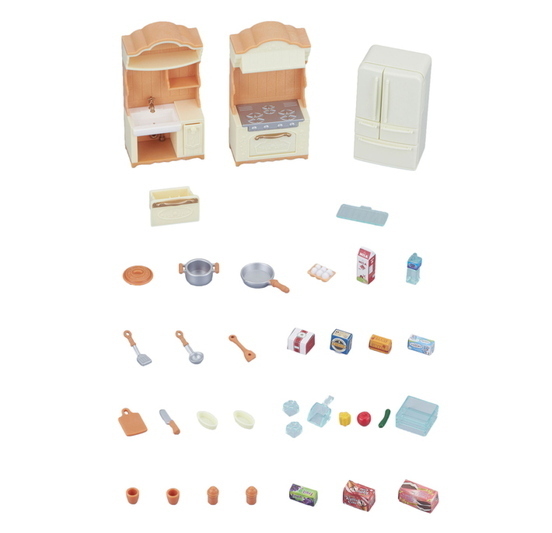 •Furniture set with accessories: cooker unit, sink unit, refrigerator, cooking utensils, vegetables, ice, etc.